The men’s 16 inch softball team is on fire, and it does not look like they will be cooling off anytime soon. They recently finished the regular season with a 9-1 record, which was enough to earn them a conference title. Despite winning one of the toughest conferences in the city, the team claimed the second seed for the city playoffs. On Sept. 23, they played in a tournament at Mather Park where the Mustangs dominated the competition. They did not let the fact that they were considered the underdogs faze them in the finals against Lane Tech. It was a tough game, but the Mustangs came out on top to win the tournament. Now the team has one goal set in their minds: win the city championship. 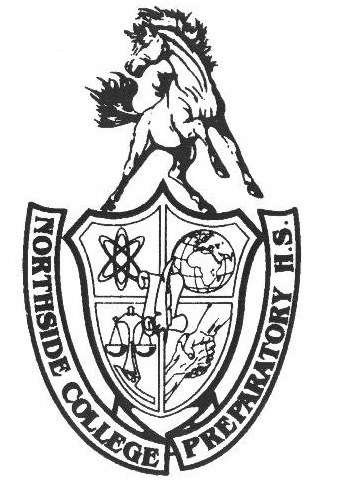 Northside is looking good going into the playoffs and hopes to do what the team did five years ago. All of these achievements would not be possible if it were not for the players on the team. Their starting pitcher Blake Lehman, Adv. 804, has an amazing strikeout count of 27 and counting, as well as two successful pick-offs this season. These stats are almost unheard of in the game of softball where players can easily hit the ball. Starting shortstop, and probable D1 baseball player Benjamin Rosengard, Adv. 803, is the catalyst of this team’s defense and offense. He has hit an amazing eight home runs throughout the season. Captain Jadd Oweimrin, Adv. 803, plays a big role on the team with his presence in center field. In the Mather Park tournament, he threw out the game-winning run at the plate from deep in center field. Alongside his defensive prowess, he adds an impressive four home runs to the team total. Left fielder Charlie Guthmann, Adv. 800, has tacked three home runs onto the team total as well. Another prominent hitter for the Mustangs is Ben Morris, Adv. 807, who plays an excellent first base, and Rodrigo Knutson, Adv. 801, who has fit nicely into his role in right field. Fernando Velasquez, Adv. 800, after suffering a hamstring injury, continues to help the team in any way he can, which is usually by acting as the first base coach. However, now that Velasquez is back and healthy, the Mustangs look ready to make a deep run in the playoffs.